Morton Salt can make curing your own meats as enjoyable as eating them. If you’re ready to start curing, here are a few different processes worth considering. Best used to cure hams, bacon and smaller cuts of meat, dry curing involves applying the cure mix directly on the meat. After the application, place meat into a plastic food storage bag and tightly seal. From there, put your meat in the refrigerator and let the curing process take place. 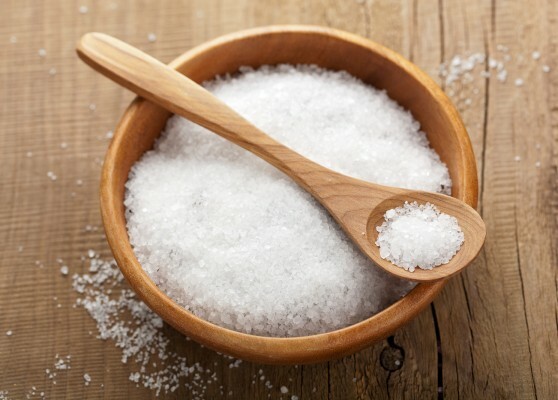 After curing, remove excess salt by rinsing your meat. The final step is to cook your meat and taste. Also called the sweet pickle cure, brine curing is also a favorite for curing meat. This method involves combining curing salt and water to create a sweet pickle solution. To prepare the brine, use a large non-corrosive bowl, such as plastic or glass. To cure, inject the brine solution into the meat using a meat pump or soak the meat over a period of time. If you choose to soak, be sure to fully submerge the meat. A plate can be used as a weight to keep the meat immersed in your brine. Like dry curing, the process takes place in the refrigerator and the cured meat needs to be cooked when finished. When you couple the dry rub cure and brine solution injections, the result is combination curing. Used to cure hams, this method shortens the curing time and reduces the risk of spoilage because the process takes place both inside and outside the ham. Again, curing is done in the refrigerator and the ham is cooked thereafter. The sausage curing method, unlike those previously described, is accomplished by mixing curing salts and spices with ground meat. The curing process is then done in the refrigerator. When the curing process is complete, the sausage is cooked before serving. The amount of time spent curing meat will depend on the thickness and amount of bone and fat. For thicker cuts of meat, you may want to lengthen the time you cure. Find your curing style by experimenting with different spices. But be sure not to exceed the curing levels in the recipe. As a reminder, we recommend labeling the date and time the meat should be removed from your refrigerator. Cure meat at a temperature between 36 degrees – 40 degrees F. Colder temperatures will prevent you from curing properly and warmer temps will encourage spoilage growth. In the case that meat is too salty, soak or boil it in water to remove the excess salt. In the future, remember to rinse cured meat or reduce curing time. Cured meat is still raw meat, so always remember to cook your meat and poultry after curing. If you give a home-cure as a gift, remind the recipient that they too will need to cook it before consuming. Cured meat will turn pink or reddish when cooked. For poultry, use a meat thermometer to determine when it’s finished cooking. Please view our list of curing recipes if you are interested in putting the methods to use.